Umizaru, the Sea Monkey, is about the Maritime Safety Agency. 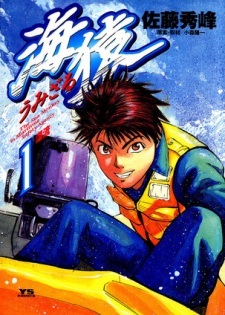 The main character is Daisuke Senzaki age 19, a newbie navigation officer aboard the Nagare. He has a trauma from the past and hates to over look at lives he could save even if it means risking his own. See what kind of troubles arise and how Daisuke moves from just a navigation officer to an Umizaru!